Hire the best qualified candidates quickly. Fill unlimited roles with your unique talent pool. Find work you love that’s a perfect fit. 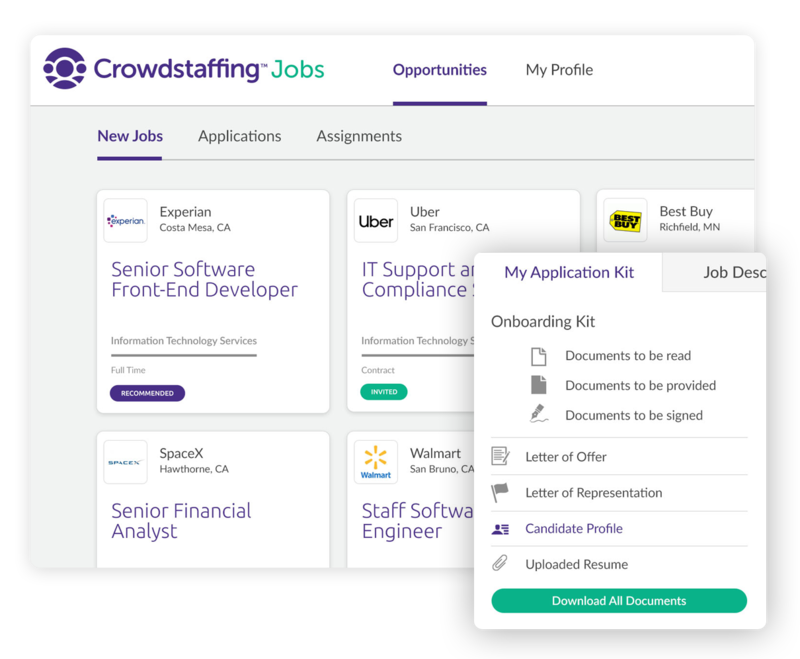 Crowdstaffing is the hiring platform where candidates, hiring managers and recruiters collaborate to get the best people into the best roles. Complete this form to request your access to the platform. We connected the entire ecosystem, added modern matching technology and simple hiring tools for one easy-to-use talent solution. But we’re not just technology, because people aren’t commodities. And hiring is too important to leave up to the bots. 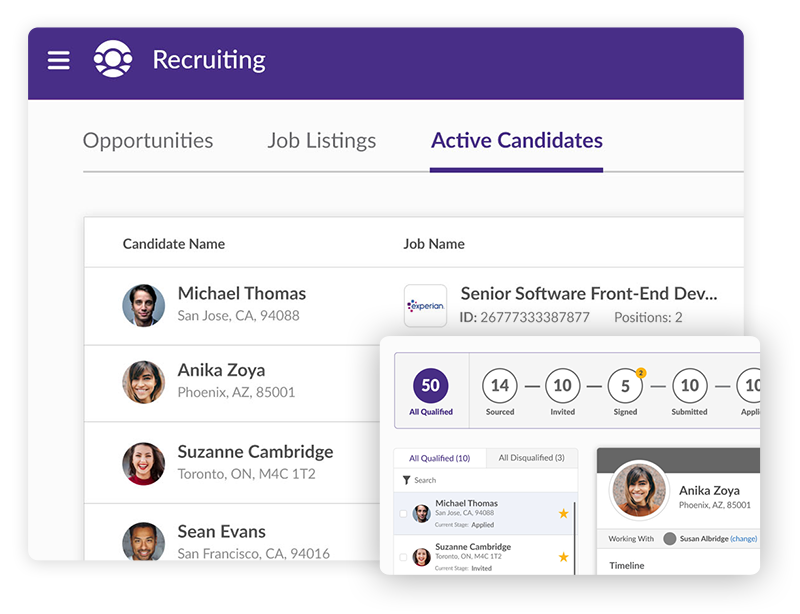 A single recruiting platform that brings together candidates, hiring managers and recruiters in an incredibly powerful hiring machine. 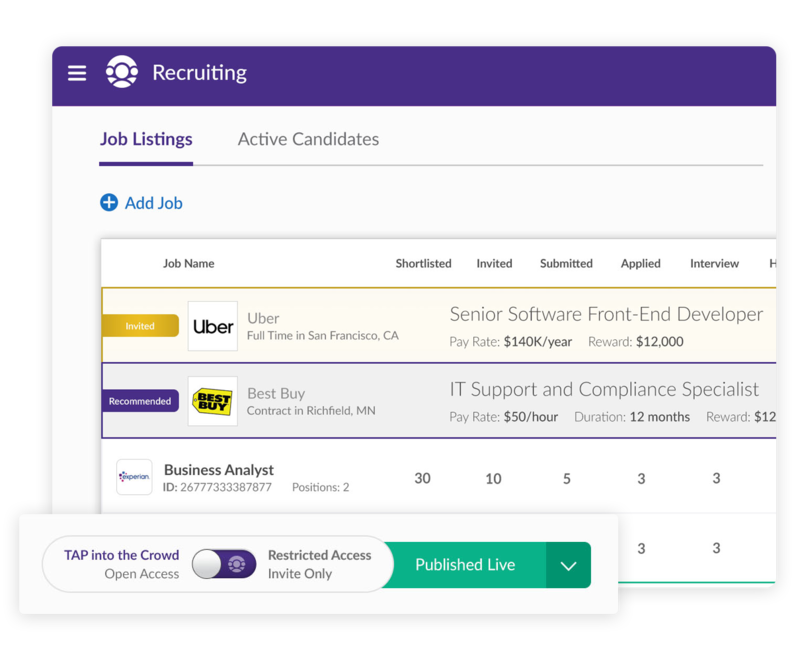 Smart automation and intelligence to quickly source and precisely match, along with the best of talent acquisition functionality for a great hiring experience. Talent advisors provide personal support between hiring managers and candidates to validate the best submissions and provide personalized, authentic connections. The world’s leading employers are in the Crowdstaffing platform. Hire for any position, any specialty, any location, in record time. Empower your contingent workforce management team with Crowdstaffing or let us manage your program and onboard all your current recruiters. Expand your client base, monetize your talent pools, access new vetted candidates with valuable skills, and slash business development and administrative efforts. Find a great role that aligns to your skills and lifts you to the next stage in your career, on your terms. Join as a recruiter or look for a job.